I’m tired of the dreary cold snowy weather of winter. We love to cuddle and read books while the wind wuthers, hopefully blowing in some warmer weather. Here’s a list of fun books to celebrate everything spring: gardening, clouds, warm rain, wind, flowers, and being outside in the sunshine! With her signature woodblock prints, the Caldecott medalist Mary Azarian invites readers into her own garden to discover its simple joys. Revealing the variety of life underground, the bright comfort of a greenhouse on a winter’s day, or the anticipation of starting seeds indoors in early spring, this striking alphabet book reminds us that gardens are perhaps our best way to live closer to the land and to the rhythm of the seasons. Molly hates rainy days. The gray sky, the soggy wait for the school bus, they seem to make everyone grumpy. Everyone except her friend Sophie, who shows Molly the magic she has been missing. Female frogs lay eggs in the water, but what hatches isn’t a frog yet—it’s a tadpole! This classic Level 1 Let’s-Read-and-Find-Out picture book shows the incredible metamorphosis that occurs as a tadpole loses its fishy tail and gills and becomes a frog. Now rebranded with a new cover look, this book includes a find out more section with an illustrated guide to identify different frog species and a map showing where bull frogs can be found throughout the United States. Mayumie and her grandmother take a trip into Tokyo to see a surprise even more fun than the zoo and more beautiful than the shrine: cherry blossoms flowering in the heart of the city. The white shape silhouetted against a blue background changes on every page. Is it a rabbit, a bird, an ice-cream cone, or just spilt milk? In this childhood classic, kids are kept guessing until the surprise ending, and they’re encouraged to improvise similar games of their own. This board book features sturdy pages and is just the right fit for small hands. Springtime is here, and Zinnia can’t wait to plant her seeds and watch them grow. She carefully takes care of her garden, watering her plants, weeding, and waiting patiently for something to sprout. And soon enough, the first seedlings appear! With art just as colorful as a garden in bloom, young readers will enjoy watching Zinnia’s beautiful garden grow, and may even be inspired to start one of their own. Lydia Grace Finch brings a suitcase full of seeds to the big gray city, where she goes to stay with her Uncle Jim, a cantankerous baker. There she initiates a gradual transformation, bit by bit brightening the shop and bringing smiles to customers’ faces with the flowers she grows. But it is in a secret place that Lydia Grace works on her masterpiece — an ambitious rooftop garden — which she hopes will make even Uncle Jim smile. A littered lot in New York’s Alphabet City is transformed into a lush garden by people of the neighborhood. Young Marisol finds a small patch of her own, where she plants a large, flat seed. As it grows up and up, it surprises everyone and becomes the most special plant in the Garden of Happiness. New grass and daffodils, hopscotch and kite flying, kittens under the porch and baby birds under the eaves are the subjects of Steven Schnur’s evocative verses and Leslie Evans’s luminous linoleum-cut illustrations. When read vertically, each poem reveals a playful acrostic, making every handsomely designed page a double treat for the eye as well as a joyous tribute to the season. Fletcher loves everything about spring: listening to the birds sing, smelling just-opened flowers, and playing chase with butterflies. But then Fletcher sees something he never expected to see in spring: snow. Oh, no! But it turns out that spring has another surprise in store for Fletcher—a warm and wondrous one. Jump into spring with Fletcher and friends! We think of spring and we feel warmer, sunny days, we smell the freshness of nature’s flowers blooming again, and we picture little chicks and furry bunnies. These adorable baby animals are fun to look at and they represent the spirit of renewal and life that is spring. Every young creature finally ventures outside to play as the dreary days of winter fade away and color surround us all. Spring is about being outdoors enjoying all that our wonderful planet has to offer—it’s about living life to the fullest. Discover the world as it wakes from its winter slumber as the flowers blossom, the animals come out from their resting place, and nature comes alive during this season of renewal. Head outside and play soccer and baseball with your friends while enjoying a wonderful picnic lunch from the food you grew in your garden! 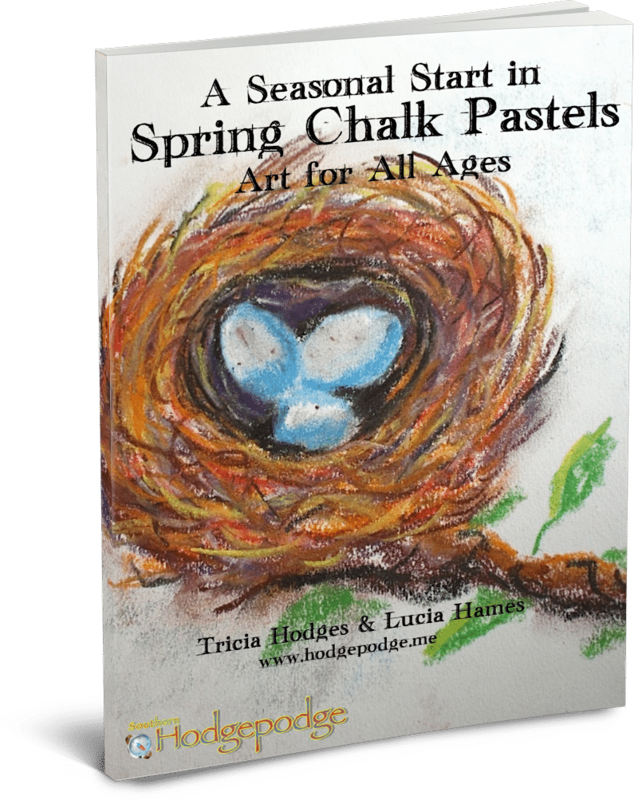 Heidi has done it again with this wonderful, wholesome book about the spring season, tying family and nature together in a book that will leave you feeling excited about spring! Books in this series introduce emergent readers to the four seasons. In Spring, children are taken on a tour of things they can see in spring including typical spring activities and new life and growth in the natural world. Beautiful photos, very simple repeated text, high frequency and decodeable words and strong photo-to-text matching make this a perfect book for early readers to enjoy. March comes in with a roar. and scratches at your door. In this exuberant, rhythmic story, March, personified as a lion, enters a boy’s cozy home and leaves a trail of snow flurries and muddy footprints. The boy calmly observes the pouncing, howling, growling lion until in comes the lamb on the crest of a huge sneeze. Escorted by grass, flowers, sunshine, showers, and animal babies, the lamb brings forth spring. Have you ever felt the wind tickle your face or heard it whistle through your window? Did you know that some wind travels faster than a car? Read inside to find out more about what causes wind, and learn how to make your own weather vane! Have you ever felt the wind tickle your face or heard it whistle through your window? Did you know that some wind travels faster than a car? Air is always moving. We can’t see air moving, though we can watch it push clouds across the sky, or shake the leaves of a tree. We call moving air the wind. In this enlarged edition, find out about the wind – what causes it, how it can be used to help us, and how it affects the weather. On a windy spring day, what do Bear and Mole decide to do? Why, fly a kite, of course! But first they have to build one. They design, measure, and finally construct their kite. With a zoom, zoom, zoom the kite soars up, up, up in the air. But when a storm rumbles in –SNAP!–the kite string breaks! The chase is on as the two friends tear after their kite and find it in a tree, protecting a nest of baby birds from the rain. Sniff. Sniff. Sniff. Spring is in the air. Mole can smell it. But Bear is still asleep after his long winter nap. How will Mole wake up Bear so they can celebrate together? When a knock, knock, knock and toot, toot, toot can’t get Bear out of bed, Mole cooks up a special treat. Spring fever is catching in this vibrant story of friendship. It’s time to put on your rain gear for a rainy-day romp! With spring come April showers. It’s time to put on a raincoat, grab an umbrella, and head outdoors. The worms like rain, and so do the fish and frogs. But what about the cat and dog? In this lyrical picture book, one spunky little girl discovers just who likes rain–and who doesn’t–as she explores the rainy-day habits of the world around her. The spring equinox signals the time of year when the days are getting longer, the growing season has begun, and animals give birth to their young. With accessible, lyrical prose and vibrant illustrations, this book explains the science behind spring and shows how the annual rebirth of Earth has been celebrated by various cultures throughout the ages and the world. If Lady Winter has her way, the world will stay covered in blankets of snowy white and icy blue. Sister Spring will slumber forever and the winter will never end. Can Lady Winter really keep spring from coming or is there something the animals might do to help? Led by harbinger Robin, the animals are determined to wake Sister Spring, but what price will they each have to pay? Through beautiful words and pictures, this enchanting tale about the battle of the seasons highlights one special bird who saves much more than just the day. After a long winter’s sleep, the soil is springing to life. Spring flowers break through the ground to welcome warmer days. Come with Grammy and her grandchildren as they explore and learn all about 24 different flowers. Once home, she teaches them how to plant their own flowers from seeds and make beautiful bouquets. The root children spend the winter asleep. When spring comes, they wake, sew themselves new gowns, and clean and paint the beetles and bugs. All summer they play in fields, ponds and meadows before returning in the autumn to Mother Earth, who welcomes them home and puts them to bed once more. Complimented with Ned Bittinger’s stunning illustrations, best-selling author Audrey Wood’s new version of a timeless classic is the perfect read aloud for this spring and gift all year round. Right away, the Root children set to work sewing their flowering costumes, and painting bugs with rainbows until they sparkle like jewels. Then, they frolic out into the world in a joyous chorus of color and song. They sing and dance through summer. But all good things must come to an end, and as the frosty autumn winds blow away the leaves and flowers, the Root Children must return to their underground bed with gentle Mother Earth. These stories guide children through the Wheel of the Year in a way that is entertaining and amusing. 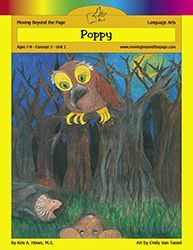 Through these pages, Elsie, with her patience and gentle wisdom, provides a positive role model and instructor while children identify with Pooka. He asks questions. He makes them laugh. Sometimes, he even gets into trouble. They learn as he learns. Ostara―also known as the Spring Equinox―is a time of renewal, a time to plant seeds as the earth once again comes to life. Crisp photography teams with easy-to-understand, repetitive sentences that encourage beginning readers to discover the world–one season at a time. Describes some of the ways in which people have celebrated the coming of spring, including the Mayas, the ancient Romans, and the Cree, as well as such holidays as Passover, No Ruz, Holi, and Easter, and suggest related activities. Simple text and bold, beautiful paper sculpture convey the animal life, plant life, weather, colors, clothing, and feelings associated with the spring season. 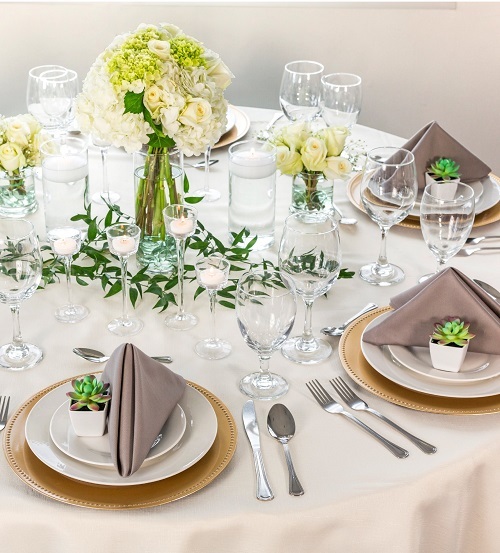 With the warmer weather and sunshine, the dust seems all the more obvious gathered on the tables, windowsills, and knick-knacks scattered about. Plenty of dust also settled in my heart this winter. I struggled with the early sunsets and cold, dreary days. Even my happy light couldn’t help me quite shake it. As I make natural cleaners to safely remove the dust, dirt, and grime from my floors and other surfaces, I also realize I must invest in a dust removal system for my soul. Spring is a time of new growth and soul-growth is not to be placed on the back burner. I revisit our Bible curricula for what works and what needs improvement. Some of the irritating behaviors in my family (and myself!) need to be addressed. I must remain diligent and beg my Father’s forgiveness for laziness this past season. As I open the windows to let in the fresh air and sunshine and let out the stale air, I also need to air my heart’s grievances in prayer and Bible study as I do some spring cleaning for my soul. Limit activities. Set goals. Personal growth. What do you need to sweep out of your life? I need to focus on on better priorities. Some things have to get left behind for my sanity since I just can’t do it all. I refuse to get caught up in the comparison trap. I really just can’t write all the posts, like all the social media, go to all the field trips, read all the books, decorate all the rooms like Pinterest, buy all the trendy clothes. I must learn to be content within my means and protect my heart from comparison. With prayer and discussion, I can prioritize what’s best for our family. And my priority isn’t having my home look like a magazine or museum or running around constantly. I must be diligent in completing a task well if I want my children to learn by my example how to follow through. Just like I don’t want to sweep the dirt under the bed or rug, I don’t want to leave heart issues unaddressed to grow into bigger issues later. I need to be a diligent parent and coach my children consistently, in love and without nagging. I need to be open to communication and aware of what my family needs. I need to explore the underlying causes of a behavior rather than react. 3. Relationships are most important. I need to show my kids and husband that they are most important to me (after God, of course) – more important than my smartphone or my blogs or social media or anything else that might become an idol. Just like I want to be hospitable to guests in my home, so I rush around like a madwoman, cleaning and tidying before anyone comes over – only to apologize profusely for my house that has never been cleaner in years! I’m focusing on the wrong things – the appearances instead of the relationship. If they don’t like me because my house isn’t spotless, then that’s fine. I need to be more like Mary and less like Martha. And sometimes, I need to let the dishes sit and the floor go unvacuumed while I take a walk with my kids to enjoy the sunshine and flowers. They will remember those experiences more than having a museum-spotless house. 4. Don’t allow dirt to collect. I can’t get lazy and then become overwhelmed by the task at hand. Sometimes, we create bad situations ourselves with poor choices and call it “from the devil.” Of course, Satan will use all ammunition we give to him, but we must accept responsibility for our actions and the consequences of those actions. This also goes for listening to dirt about others. We should just close our ears to that rather than expressing interest or spreading any gossip. If I don’t clean the refrigerator for months, then the task will become overwhelming and take much longer and need more elbow grease than if I wipe it down and pay attention to inventory and expiration dates every week or so. This also goes for social media, mom groups, family bickering. Limit that noise. Stay positive. When I can’t complete something on my own, I need to turn to Jesus for help. Just like when a maintenance task at the house or yard is too much for me to complete well on my own, s0 I enlist my husband and kids for help… I need to cry to Jesus in prayer when I get overwhelmed with life. Ask for godly counsel. Mentoring seems like a dying art. Do you have a trustworthy Christian mentor? I plan to analyze my heart as I tackle spring cleaning this year! It’s still quite cold and cloudy here. We had a short reprieve of sun, but it was still windy and chilly. I had hoped we could time it to have the paper and paint outside and real rain mix the colors, but it just hasn’t been warm enough and the rain won’t cooperate anyway. Perfect on a windy day to take paper and spray bottles outside to represent rain and mix powdered paints, right? The kids had fun watching the colors run as they sprayed the powdered paints. We pretended we were rain as we mixed primary colors on paper. They compared the types of raindrops from the sprayers to the drops and drizzles from the bowl and cup. We sprayed water on our powdered primary colors to mix into secondary colors. They loved watching the wet swirls blend and run together. Alex knew that red and yellow make orange and yellow and blue make green. He even knew that red and blue make purple. One of our pages had mostly reds and another was predominantly blues and the other was more yellow. They all turned fun shades after mixing. I brought the papers inside to dry and the kids really love their rain paintings. We extended the lesson by reading Mouse Paint and discussing the color wheel. We looked for pretty colors around us and determined which primary colors were mixed to make them. We just bought raincoats so we can go out to explore all the lovely spring buds popping up, even when it’s foggy, cloudy, or rainy. 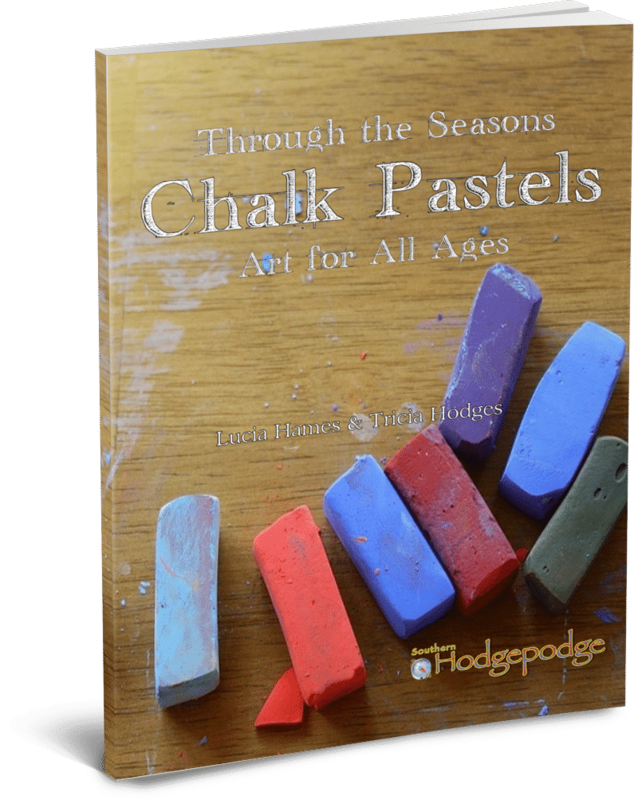 Another fun color book that Alex adores is The Day the Crayons Quit. We read it every week while we wait on his sisters in their music classes. And we love the book Press Here. It’s a fun book for active little boys. We loved learning about colors and blending. 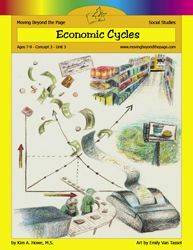 We reviewed the Moving Beyond the Page science and literature units Lifecycles Age 7-9: Concept 3 – Cycles: Unit 1 and Charlotte’s Web Age 7-9: Concept 3 – Cycles: Unit 2.
ages 7-9 – unit 3_1 – Science Unit – Lifecycles by Kim A. Howe, M.S. ages 7-9 – unit 3_2 – LA – Charlotte’s Web (/Online) by Kim A. Howe, M.S. We were already underway with caterpillars in our butterfly habitat and we already had big sister’s copy of Charlotte’s Web. The girls were thrilled to each have their own copies to read together. I loved it. We learned plot with this flow chart. I was impressed with the girls doing so much writing so well! The girls worked on spelling words. I think vocabulary words would have been more helpful. I made my own list after this wasn’t super successful. Kate did not really like the spelling sheets. Tori really loathed the spelling assignments. They loved this graphic organizer in the spider shape! Tori enjoyed this writing assignment. Here are the extra reading books we chose at the library. Kate loved this unit. She is an animal lover! Kate loved reading the books for the unit. We found three lovely and very different spiders in our front hedge. None like Charlotte though! Look at this guy’s stripes! I think this one is the same species as the one above, but a lighter color. This is a wolf spider because of his eyes. We even got a fun new pet that we love to watch every day: a leopard frog tadpole! His name is Sméagol. He’s just beginning to grow back legs. Here are our five chrysalids with one starting to jiggle. Butterflies produce meconium that looks like blood after they come out of the chrysalids. This one acted almost drunk on the sugar water nectar! He didn’t want to fly away! Final shot before the 5th butterfly took off. In the Life Cycles lesson book, there are 9 lessons and a final project. The first page is a How to Use for Parents with a suggested schedule. Love the vocabulary list and projects! We discussed living things and life cycles. We compared different animals and insects. And there was even a lesson on plants life cycles. Alex really loved Jack’s Garden. Dad read it to him. I read it to him. The girls read it to him. A favorite! We’re studying animals in our regular science program and this just ties right in. I love that. We got to create a new species as a project too! It offered conditions, questions, and info on life cycle and food chains to help us with our creations. A rubric is included for parents to evaluate the project. A quiz is also available to assess the unit. The girls completed a butterfly book about all they learned. They drew the life cycle of butterflies. Kate read me the book about butterflies. She loves reading! Kate reads her instructions to write about barn sensory experiences. When I asked how they would feel in a barn, Kate said “nervous” and Tori said “happy.” So funny! I love the online component for Charlotte’s Web. I can print the pages needed for our assignments. They offer written and drawing pages and I let the girls choose (was surprised by their choices!). 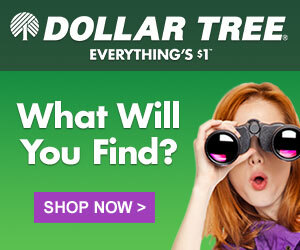 If members have great lesson ideas, we can submit those to the IdeaShare forum! The headings at the top are Intro, Activities, and Conclusion. It’s a well-organized lesson plan. There are four activities with multiple printable choices depending on the child’s writing abilities. You can click on Table of Contents to download or save printables. There are seven lessons and a final project. Suggested times are included. We’ve never really used unit studies because I find it difficult to work into our regular schedule, but these are so well-written and fun, I definitely want to make room to do more! Summer is perfect for units! The Charlotte’s Web online package is $20.92, with novel included. The unit lesson book alone is $12.93. 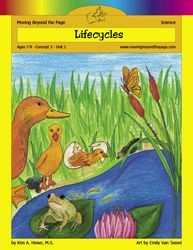 The Life Cycles package $45.92, including all materials needed. The unit lesson book alone is $16.99. Click the images below to check out samples in literature, science, and social studies!